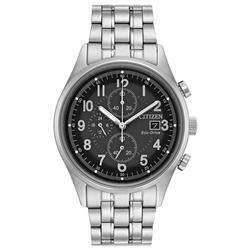 Citizen Watches Mens CA0649-06X Eco-Drive. 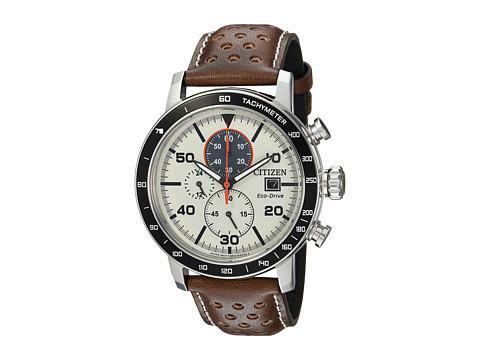 This Brycen mens chronograph watch by Citizen features an Eco-Drive movement powered by light, and distinguished details sure to stand out on your wrist. 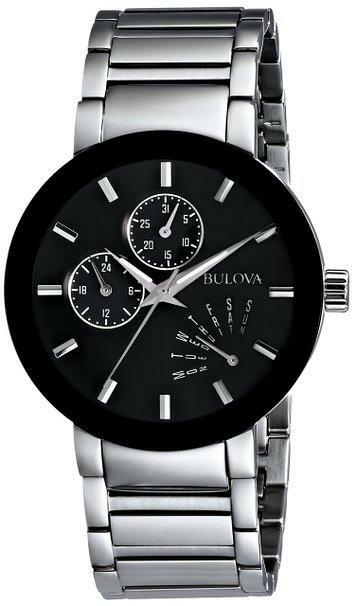 This stylish watch has a 44mm stainless steel case with a black aluminum plated tachymeter bezel, a hickory brown leather strap, and an ivory dial that showcases a 1/5-second chronograph measuring up to 60 minutes, 12/24-hour time and a date window. 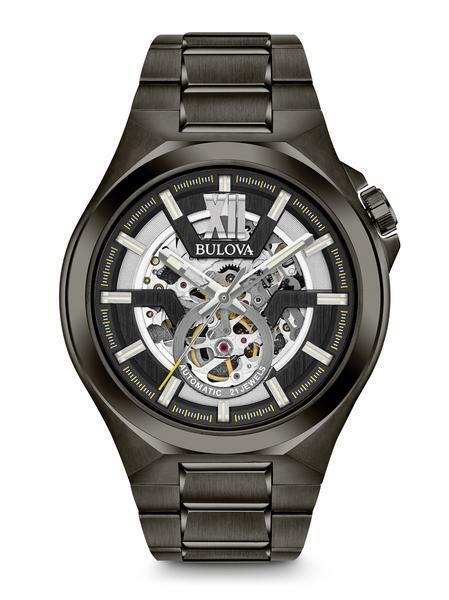 Five year limited manufacturers warranty.